Specific Details: An Indonesian masterpiece sculpture, meticulously carved by hand from a single, solid piece of rock using a chisel and mallet. 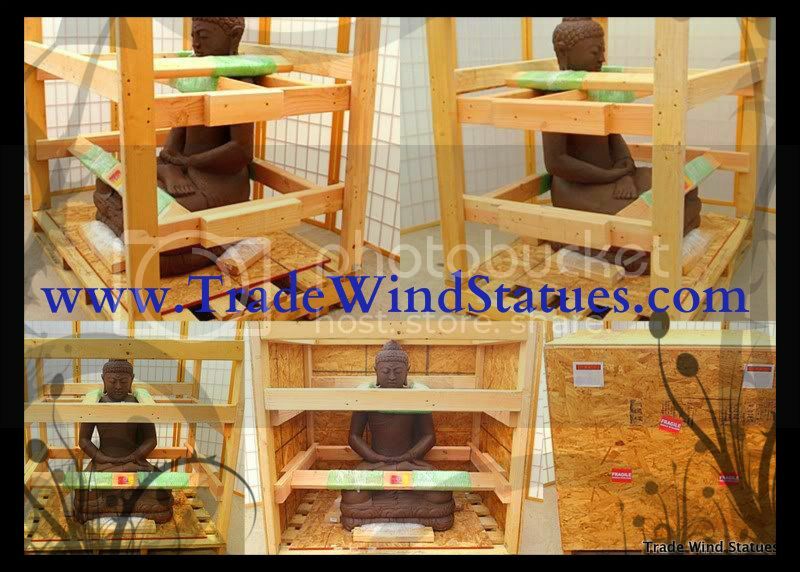 Sitting in peaceful, serene meditation, this Buddha would make an excellent addition to any yoga studio, meditation room, health and wellness spa, or any other special space! This statue will make a beautiful centerpiece in any location. The proportions and detail of this hand carved statue are unique, accurate and clean. This piece of art is of temple quality and, when properly cared for, can last hundreds if not thousands of years.